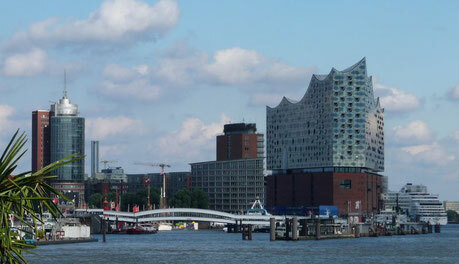 The “Free and Hanseatic” City of Hamburg is the cultural und economic center of Northern Germany. Located on the river Elbe, the port of Hamburg is the second largest port in Europe and an important cruise harbor. Hamburg’s newest landmark is the Elbphilharmonie in the new built quarter 'HafenCity'. Hamburg can easily be reached by direct flights from all major European airports, with only a short transfer time from the airport into the city center. 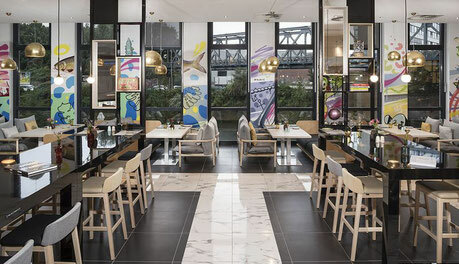 This 4-star design hotel features factory-style architecture as it offers modern accommodation in a former gasworks. The restored brick building delights guests with its individual guest rooms styled as lofts and with its superior furnishings. 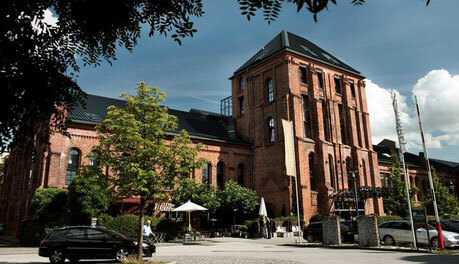 Located in the famous and very special warehouse district, HafenCity and close to the city center and shopping facilities. 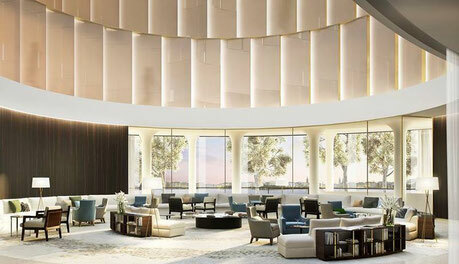 Designed in the 50s and 60s style, this hotel is more than just a place to stay, but a place to be part of the city. 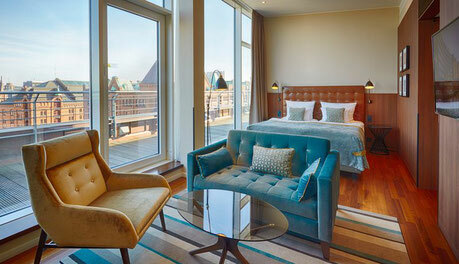 The newly opened design hotel is located close to the Speicherstadt, the HafenCity and the new Hamburg Elbphilharmonie. The stylish ambience of the INNSIDE Guestroom is reflected in a clear and elegant design. The hotel will open in winter 2018 and will be a reflection of modern Hamburg: open-minded, cosmopolitan and exceptionally welcoming. As homage to the Hanseatic city, the luxury hotel is tailor-made for the many national and international visitors who come to discover and rediscover Hamburg. 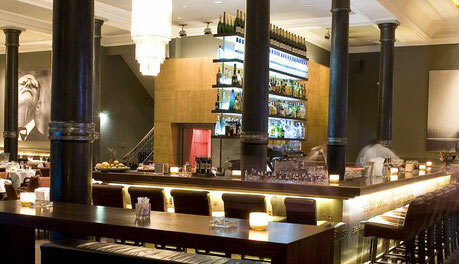 The exceptional premises of the restaurant are located directly at the city hall of Hamburg. 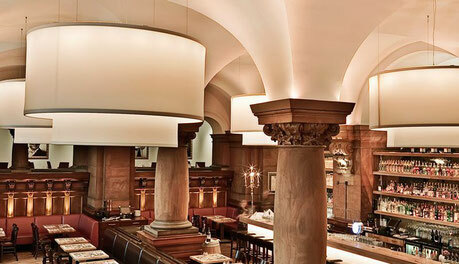 The interior is a mix of tradition and modernity: Meter-high columns, a breathtaking vault with ceiling paintings and a twelve-meter-long bar makes a visit of this imposing restaurant a unique experience. The stylish restaurant with massive marble counter tops and opulent ceiling lights serves fine bistro cuisine with fresh and seasonal ingredients. An amazingly large selection of wines from different countries such as Germany, Austria, France, Spain and South Africa complete the package. The former bank building from 1897 is the impressive location of the brasserie Die Bank, which is known as a cocktail and oyster bar and serves as an international meeting place during lunch and dinner. Two historical safes were preserved and are used as a wine depot today. 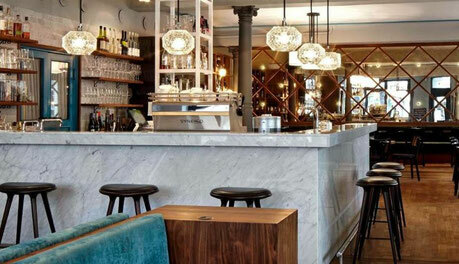 The brasserie serves high quality, light and contemporary kitchen. © „Kassenhalle“ Restaurant GmbH & Co. KG. 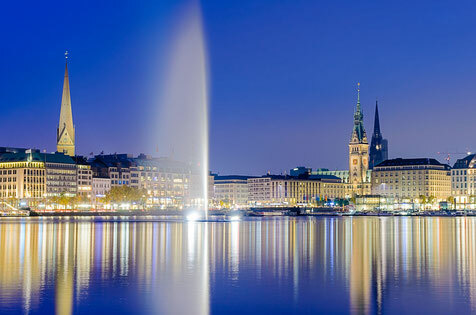 The Alsterlonge is perfectly situated at the Alster lake with a beautiful view towards the city. The large terrace and windows to all sides make it a unique location for events from 80 to 200 guests. 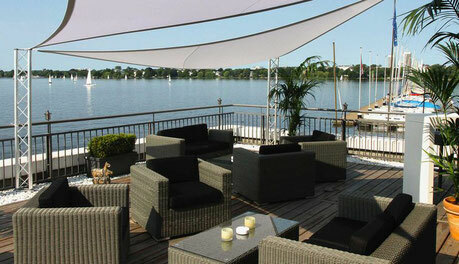 Pure as it is, the Alster sets the scenery and when the sunset shines on the terrace, a perfect event gets even better! Event location, Club, Theater – all in one and flexible to all needs. 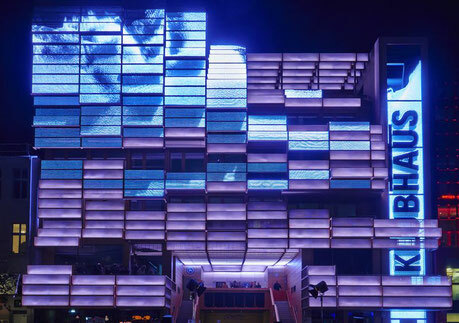 The Clubhaus St. Pauli is located directly at the famous Reeperbahn and offers several rooms for groups from 50 to 350 persons, weather it is dinner, party of entertainment. Or one can have allin one, get entertained, have dinner and then party on in your private club. Welcome on Hamburg´s largest balcony. From this unique viewing platform, you will see the city of Hamburg with different eyes. The Plaza is located at 37 meters height on the roof of the warehouse. There, on the 8th floor, you have an incomparable all-round view of Hamburg and the harbour and learn a lot about the Elbphilharmonie and the city highlights. In the heart of Hamburg surrounded by brick houses and the river Elbe, the coffee roastery offers an insight into the tasting and judging of the most diverse coffee varieties. Different methods of cultivation, harvesting and processing will be explained before tasting of 8-10 different types of coffee. Get an inside view of Hamburg party and red-light district and get to know why this is all paired in one area of Hamburg. The St. Pauli night-watchman shows the group the lively district St. Pauli. 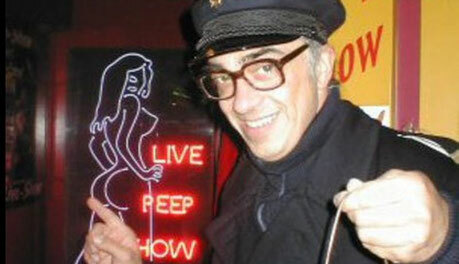 With much humor and the charm of an old sailor the guide tells about how Europe’s biggest red-light-district was formed and about recent developments. Hamburgs HafenCity is developing into one of the most exciting quarters with lots of modern sights. During the Crossgolf tournament, the guests will play along the riverside, over steps and ramps or across a bridge with fantastic city views. 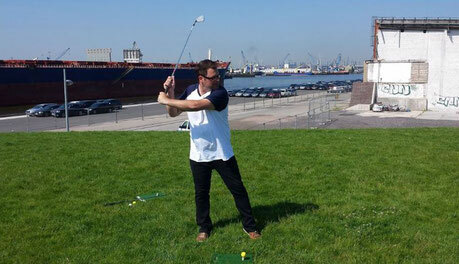 If golf on the classical greens is really nothing for the group, why not play it in the city? 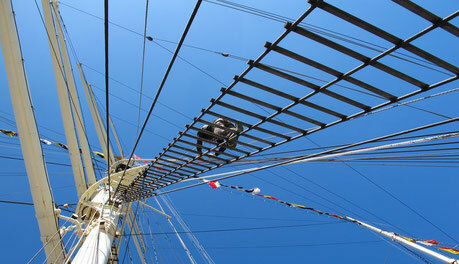 Enjoy a special view over Hamburg from the masts of the three masted barque Rickmer Rickmers. Built in 1896 and then having served as a merchant and training ship, the majestic Rickmer Rickmers in 1987 has found its home at St. Pauli landing piers in Hamburg and become a floating emblem of the city, nowadays serving as a museum ship. A journey into the future of flying on a tour with a short look at the final assembly of the A320 family. 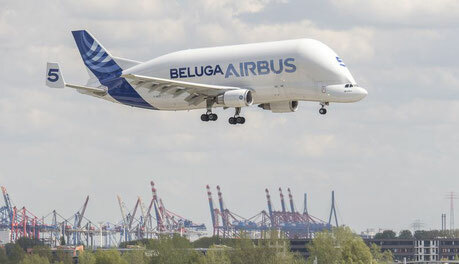 Learn more about the current and future challenges for the international aviation community and discover what solutions Airbus is adopting for resource and environmentally friendly air transport.